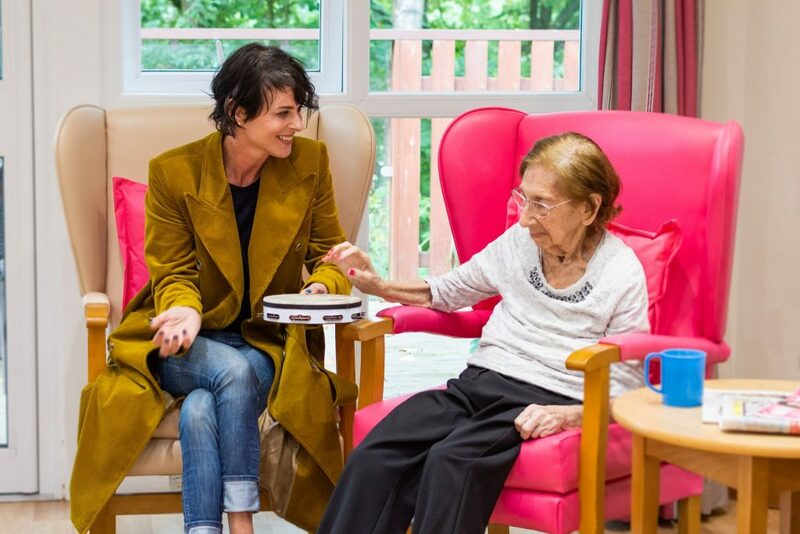 Since 2015, Heathlands Village has been working in partnership with a wonderful national charity, Nordoff Robbins. Their highly experienced music therapist spends time with some of the most ‘hard to reach’ people in our care. Working one to one or in groups, the therapist uses music, percussion and song to grab people’s attention and help them communicate when spoken conversation may no longer be possible.